Commodities featured in the WASDE report. The World Agricultural Supply and Demand Estimates (WASDE) is a monthly report providing a global look at the markets for key agricultural products. The many users include agricultural commodity traders, agricultural producers, processors, retailers and consumers, input suppliers, livestock and dairy feeders, and researchers interested in global agricultural markets. The market uses the WASDE report as a common understanding of current conditions under which many take actions to position themselves or make future plans based on the current global supply and demand situation. The WASDE provides up-to-date information on the stage of agricultural markets, supporting efficient market functions including production and trade. Global economic conditions drive demand for food and agricultural products, providing the foundation for U.S. agricultural trade demand, and provide signals to producers here and around the world to provide those crops. Therefore, the composition and pattern of U.S. agricultural exports and imports shift to reflect changes in production, trade policies, exchange rates, world population and income, and economic growth. The WASDE is seen as a timely and unbiased source of current market conditions, not just here in the United States but around the world. 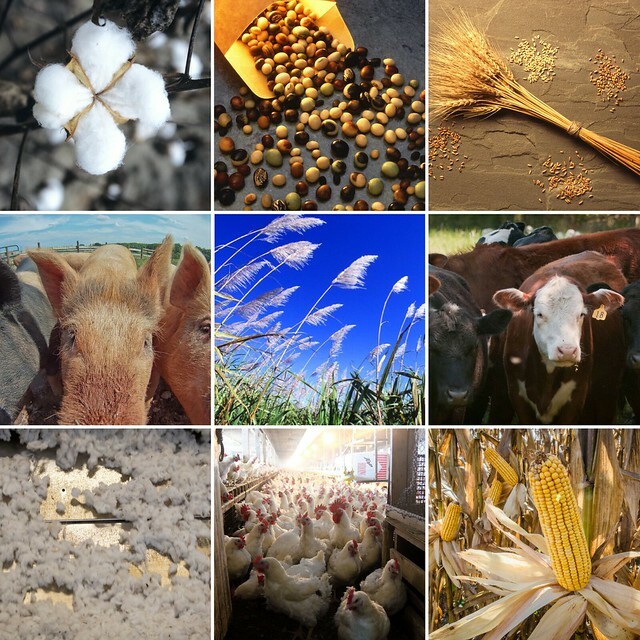 It is one of the few globally comprehensive looks at the key ag commodity markets and is widely seen by the marketplace as free of political intervention in its view of the market. The World Agricultural Outlook Board (WAOB) is free to report on conditions it sees regardless of domestic or foreign government input. The report includes forecasts for U.S. and world wheat, rice, and coarse grains (corn, barley, sorghum, and oats), oilseeds (soybeans, rapeseed, palm), and cotton. U.S. coverage is extended to sugar, meat, poultry, eggs, and milk. USDA’s WAOB analysts chair what’s called the Interagency Commodity Estimates Committees (ICECs) comprised of representatives from three key USDA agencies. The nine ICECs, one for each commodity, compile and interpret information from USDA and other domestic and foreign official sources to produce the WASDE. This broad information base is reviewed and analyzed by ICEC members who bring varied expertise and perspectives. To arrive at consensus forecasts, alternative assessments of domestic and foreign supply and use are vetted at ICEC meetings. Throughout the growing season and afterwards, estimates are compared with new information on production and utilization, and historical revisions are made as necessary. The WASDE’s key USDA agencies are among diverse sources. The ICECs rely on Foreign Agricultural Service (FAS) attaché reports and analysis of foreign commodity developments, Economic Research Service (ERS) domestic and foreign regional assessments, and National Agricultural Statistics Service (NASS) U.S. crop and livestock estimates. For domestic policy and market information, the board relies on the Farm Service Agency and the Agricultural Marketing Service. WAOB and FAS use weather analysis and satellite imagery to monitor crop conditions. Additional private and public information sources are also considered. The WASDE report has a long history at USDA as the definitive source for global market conditions, and has had a similar format since its inception in the 1970s. Between the 8th and 12th of each month, the results of the analytics are presented at the Secretary of Agriculture’s briefing in lockup known as the Crop Report which is released at 12:00 noon Eastern time. It is available in electronic form (as a PDF, XML, Excel, or Text file) and can be downloaded from the USDA website from the time of release. To assure the highly market-sensitive information is released simultaneously to all end users, and not prematurely to anyone. Visit the OCE website for WASDE report details.